How many confidential or official documents must be sent by the post? Bank statements, payslips, licence renewals, invoices,… Why can’t they be sent electronically? The over-riding reason is to guarantee a real address. The “Private and Confidential” sticker is irrelevant once it has been delivered to the household, but the sender has done as much as they can – or have they? Shouldn’t the recipient have the choice of asking for such documents being sent to a secure, encrypted, email inbox? Password, or token, protection to keep mails private and confidential. Reduced postal charges; 12 payslips a year must cost at least £2. That’s £2000 if you have a thousand pension payments to make. Guaranteed delivery; there’s an audit trail to see if a document has been delivered and opened. Interception free delivery and fewer non-delivery complaints to manage. Ability to implement closed invoicing and payment processes with minimal intervention from administrators. So here is a business proposition for the Local Authorities (LAs) or the Post Office. Offer citizens a free, secure, encrypted, email inbox on a GCloud service. Offer any public or private sector organisation a secure, encrypted, traceable, email service at a sustainable annual fee. Some citizens may also wish to subscribe to a secure Web-based outbox for replying to secure inbox messages, or even to initiate communications. The key to success is to link a secure email address with a property and a person. Local Authorities have knowledge of the Unique Property Reference Number (UPRN) and at least one person responsible for paying Council Tax. They could minimise the risk of fraud by sanity checking the number of secure email accounts at each property. LAs must lead on this innovation. There’s lots of work to do on the detail, but the good thing is that there’s an Agile solution because the basic facilities are available out of the box. Quarkside is trialling them now. At some time in the future, this service could stimulate interest from the Electoral Registration Transformation Programme (ERTP, IVR and EIR are among the abbreviations). You read it here first. 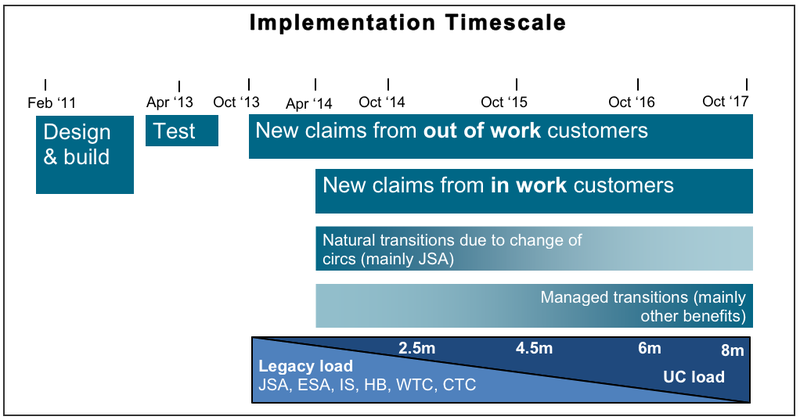 The PASC MPs were earballed by DWP about how Agile development would guarantee that the Universal Credit (UC) system will deliver all that is needed within two years, without a fiasco. This was shortly after Martin Ferguson (SOCITM) challenged the UC change process, which has not brought in the skills and experience of local authorities. The inquisitors did not follow up this challenge and seemed to swallow the promise of technology without really understanding why agile is different. Knowing what we know about the risk aversion of public sector – the reliance on Agile may be ill-founded. Many of the twelve principles run counter to decades of bureaucratic behaviour.